Ariston Hotel is a 4-star hotel in Montecatini Terme in a classic and elegant style. 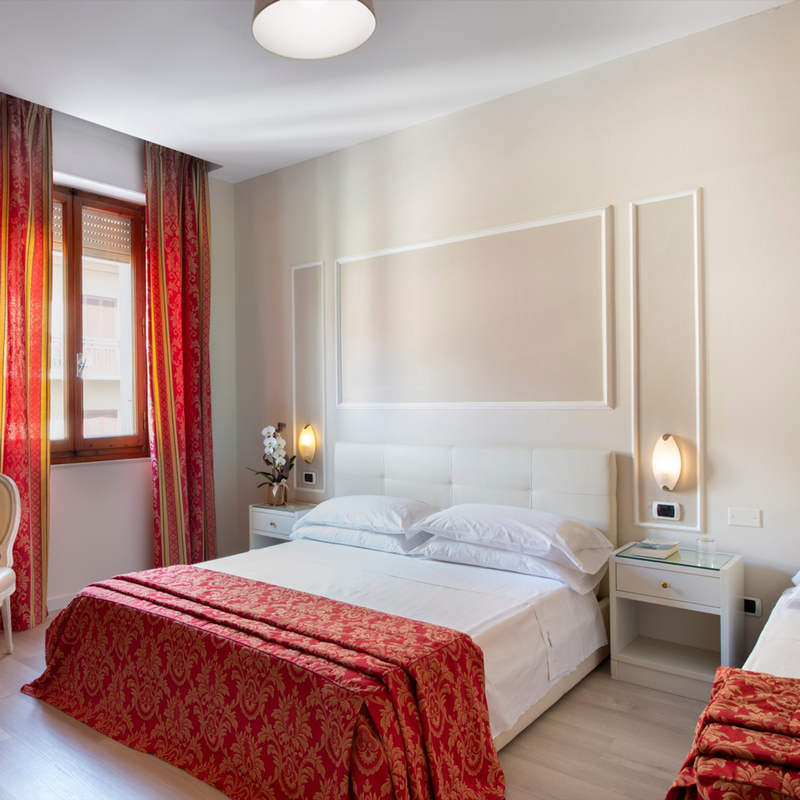 Each room is designed to give you the ultimate relaxing and peaceful experience and are furnished with comfortable furniture, near the main thermal baths of Montecatini Terme and the shopping streets of the historic center. Our rooms offer the best amenities to make your stay in Montecatini Terme unique. Ariston Hotel in Montecatini Terme provides our guest to elegant and luminous bedroom with spacious solutions bed complete with private bathroom with shower. Ariston Hotel in Montecatini Terme provides our guest to elegant and luminous bedroom with private bathroom with shower.Enjoy your large Superior room with a heavenly double Stranded or 2 singles. Our comfortable and spacious triple rooms can comfortably accommodate three people for those who want to share a room with friends, colleagues or family. Our Family Hotel offers all the essential comforts of home, to build a memorable family holiday experience in Montecatini terme. Our Spacious Family Room are provide with an sitting area.